Trying to decide if you can afford the Ferrari or Smart car? The estate or condo? 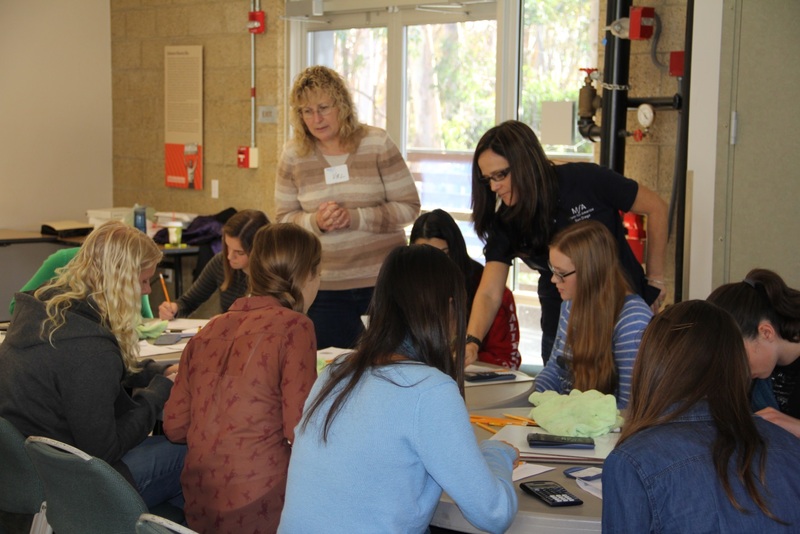 You may want to ask one of the 32 middle and high school girls who attended a hands-on mathematics workshop Feb. 1 at UC San Diego. 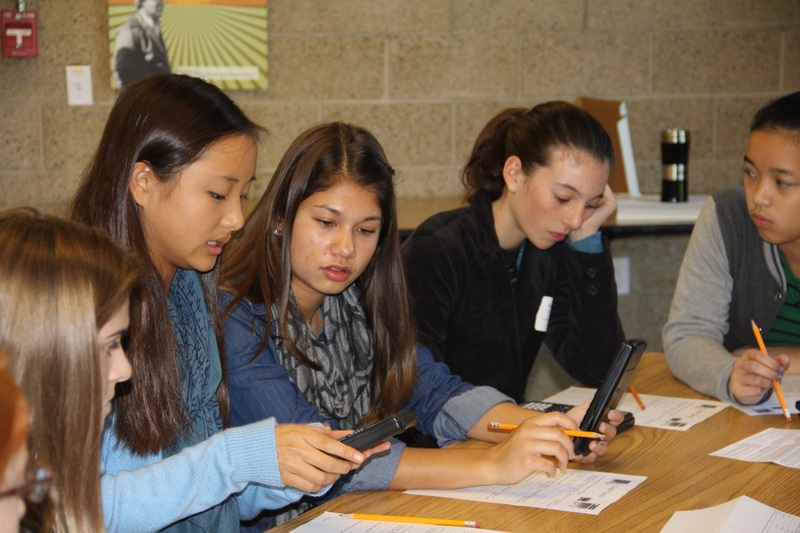 The Mathematics of Money is a financial literacy project developed and taught by Math for America San Diego fellows and banking experts from Credit Suisse. The two organizations teamed up for a second time to host the event for alumnae members of BE WiSE (Better Education for Women in Science & Engineering). 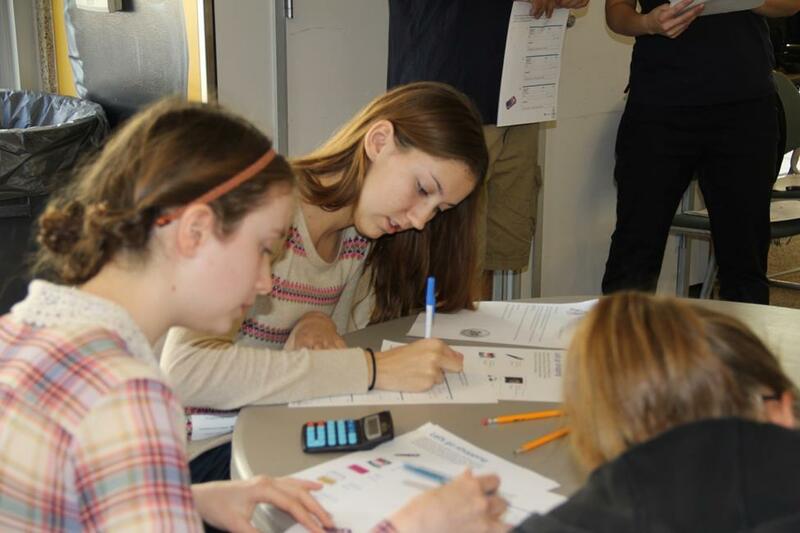 The workshop is a financial nuts and bolts primer with a twist: middle and high school girls explore information often considered dry and irrelevant by engaging in a variety of fun and interactive learning activities. 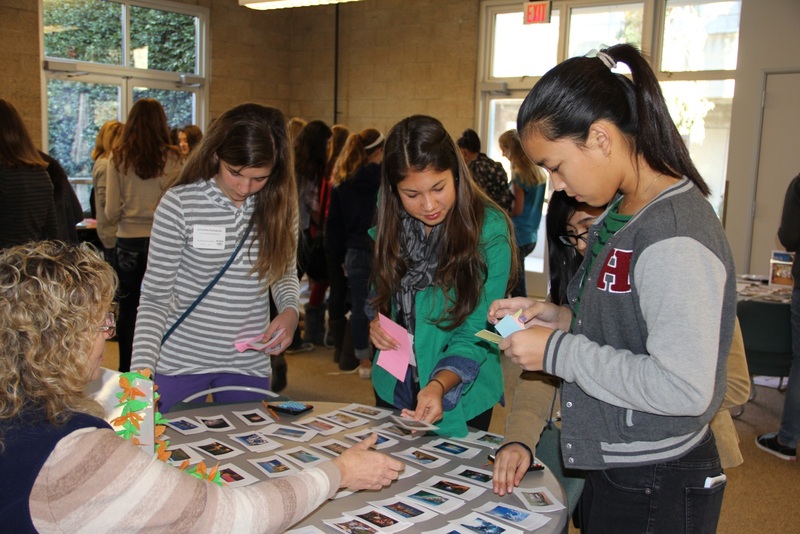 The workshop showcases the importance of using mathematics knowledge and skills in making better money management decisions, “a real plus as BE WiSE girls prepare for college and beyond,” said Barbara Edwards, executive director for Math for America San Diego (MfA SD). The workshop begins with a fast-paced, imaginary activity called “The Game of Life.” MfA SD fellows and Credit Suisse financial experts help the BE WiSE girls buy a home, car, vacations, college educations and household purchases, all pictured on separate cards and for sale at different prices. The object of the game is to use your buying power wisely, factoring in credit scores, loan interest, windfalls and unplanned financial setbacks. BE WiSE girls go house hunting, keeping in mind their budget and credit score limitations. 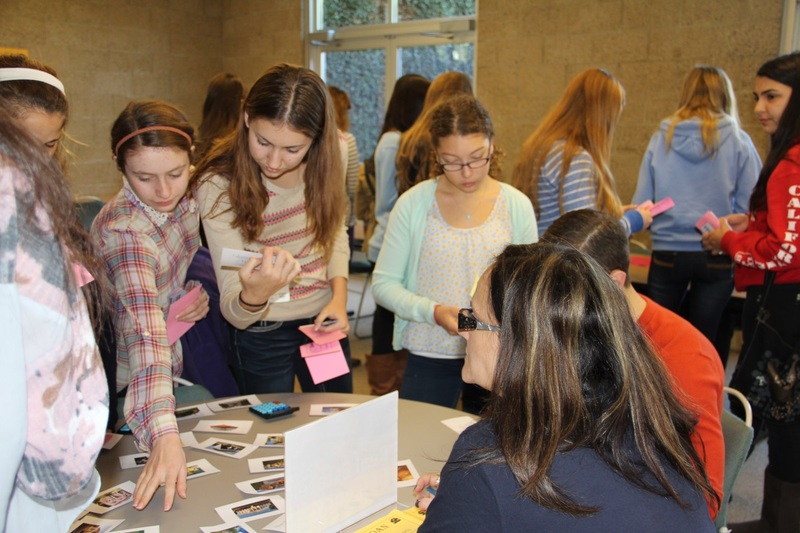 MfA SD Master Teaching Fellow Val Rea helps BE WiSE students with travel purchases. Justin Weiss, Credit Suisse private banking business analyst, explains how interest factors into the purchase of a car or home. “My favorite part was the simulation of an economic ‘life’ at the beginning of the workshop. Why? I thought it was a fun way to introduce the topics we discussed and the ramifications of economic mistakes,” said one participant. After MfA SD Fellow Gayle Kovacevic announces the game winner, the BE WiSE participants break into three groups to learn about credit, banking basics and investing. The Introduction to Credit learning group, headed by MfA SD fellow Vanessa Davis, MfA SD Master Teaching fellow Tina Shinsato and Credit Suisse Director Stan Trilling, focuses on credit card basics, building and maintaining a credit score, and the consequences of missing a payment. 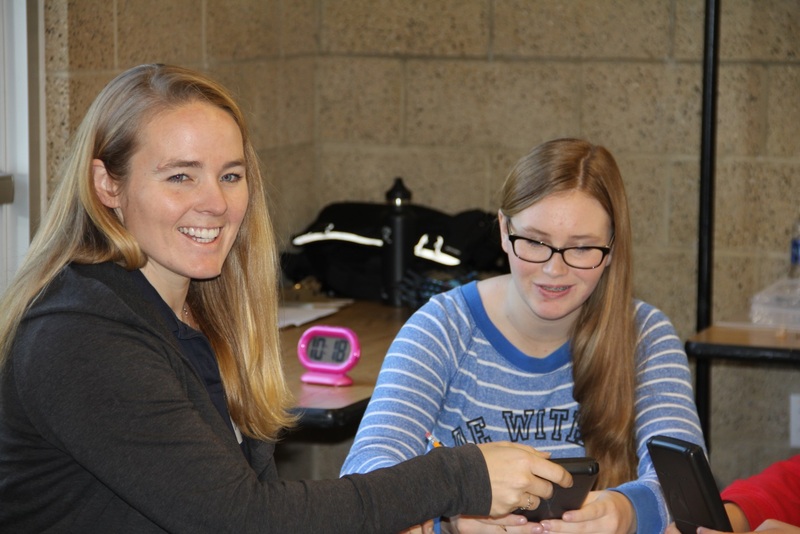 MfA SD Fellow Vanessa Davis works with a BE WiSE student to calculate how much she will pay for a credit card purchase using a higher or lower interest rate, by paying off the balance, making minimum payments over time, and by increasing or decreasing the payment amounts. In the Banking group, MfA SD fellows Scott Frazier and Cristina Jimenez, along with Harry Suh, private banker for Credit Suisse, offered instructive, hands-on projects on banking basics, including how to manage a checking and savings account, tracking spending and savings, and accessing banking services. Adults may take these skills for granted, but learning how to write a check and the ins and outs of working with a banking account are part of the Mathematics of Money workshop. The All about Investing group focused on the mathematics of compound and simple interest and understanding different options for investing money. 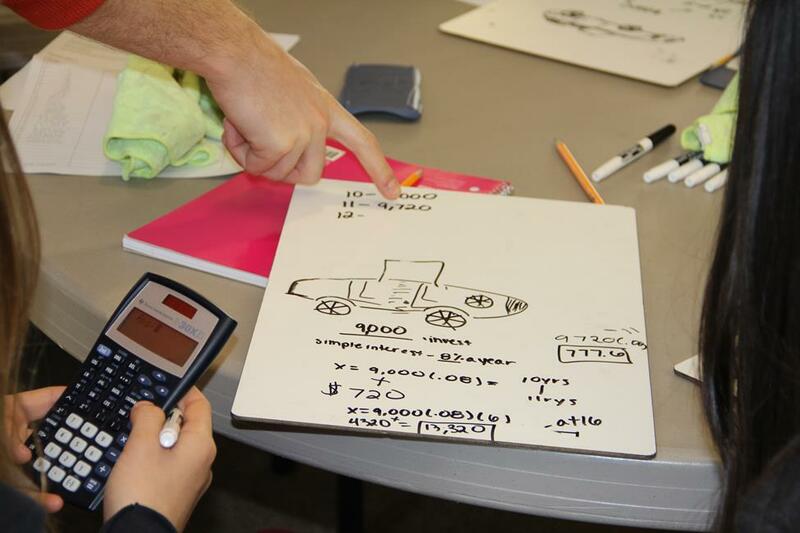 MfA SD Master Teaching Fellows Val Rea and Chris Hilton developed the “Million Dollar Mission,” a math exercise that explores the choice between accepting either a one-time $1 million payment or the amount from doubling a penny over time. To see how their money can grow, BE WiSE girls receive a make-believe $9,000 gift they will use towards buying a car for their 16th birthday. They learn to calculate and compare simple and compound interest to find out how much they can expect to earn on their investment. Credit Suisse’s Justin Weiss provided information on other ways to invest, and answered questions about common investments including Individual Retirement Accounts (IRAs), stocks and bonds, and commodities, such as gold, silver, oil, corn and wheat. 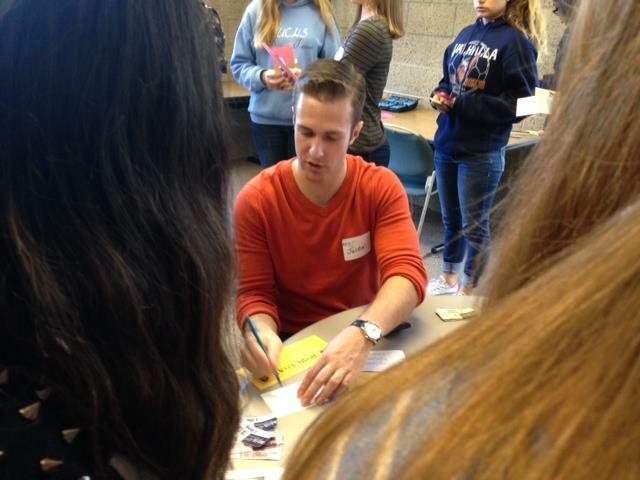 Math for America San Diego, a mathematics fellowship and teacher professional development program at CREATE, is a consortium of three universities: California State University, San Diego State University and the University of California, San Diego. MfA SD has been a community partner with BE WiSE since 2009. The Mathematics of Money is the 10th BE WiSE workshop hosted by MfA SD. Such collective effort to make math exciting and relevant for K-12 students is also a focus of the CREATE STEM Success Initiative at UC San Diego. 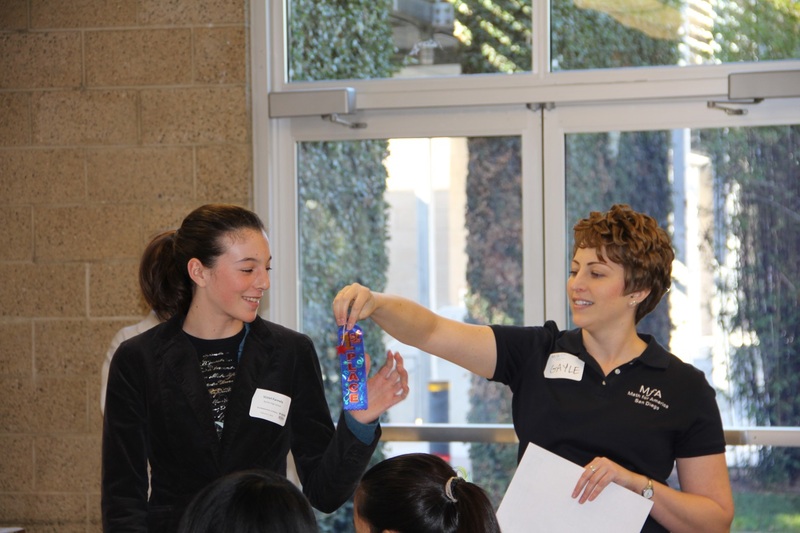 To learn more about these activities, contact MfA SD Executive Director Barbara Edwards at sandiego@mathforamerica.org.